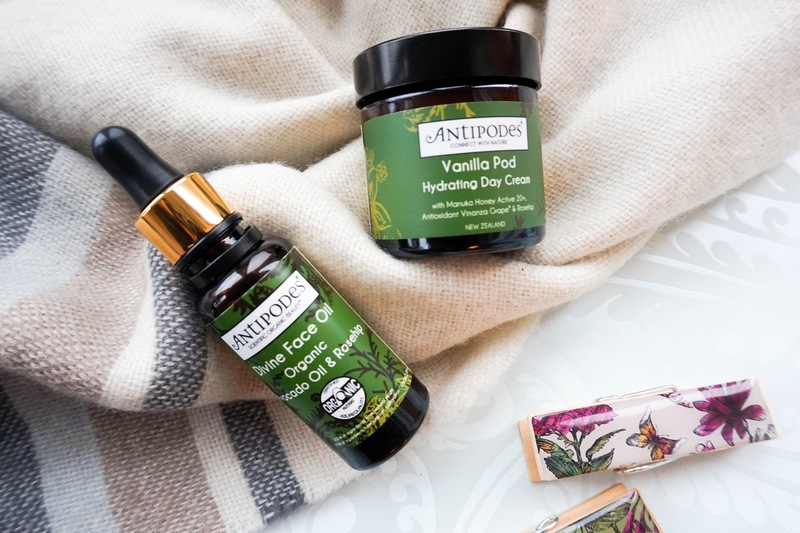 First up let's talk about Antipodes organic skincare which has become quite a popular brand in my ever changing skincare routine. I have tried a few products from the brand so far and I have to say I have always been left with great impression. Recently the brand have focused on one of their main ingredients in some of their best selling products and that is Avocado Oil, which Antipodes claim to be the "perfect winter skin saviour". My skin definitely suffers this time of year with dryness and dehydration more so than the rest of the year, so if Avocado Oil claims to deeply moisturise, repair and protect the skin... then you can bet I'll be all over that. Seeing that Avocado Oil is high in essential fatty acids like Omega 3 and Omega 9, it's easy to see why it's been proven to have excellent regenerative, restructuring and moisturising properties. I've been lucky enough to try the Divine Face Oil* before (you can read all about it here) and I absolutely loved it, not to mention that I used it all up. I have actually ran out of a lot of skincare items at the same, you know the drill when you just seem to run out of everything simultaneously so I'm really happy they have sent me out the Divine Face Oil to re-introduce to my skincare routine. I have been using it mostly in the evenings because it is quite a rich facial oil and takes a little while to sink into the skin. However my newest experiment has been to mix a drop in with some of my more matt/full coverage foundations and OMG I am in love with the finished result and how healthy my skin feels and looks. So that just goes to show if you use it sparingly it can be used during the day too, especially now in the winter months. The newest product for me was the Vanilla Pod Hydrating Day Cream*, which also contains the winter skin saviour (avocado oil) as well as vinanza grape and Manuka honey. The combination of these ingredients means the cream is super hydrating, leaving skin healthy and energised... not to mention that the powerful antibacterial properties of Manuka honey also help with keeping skin clear and free of blemishes. 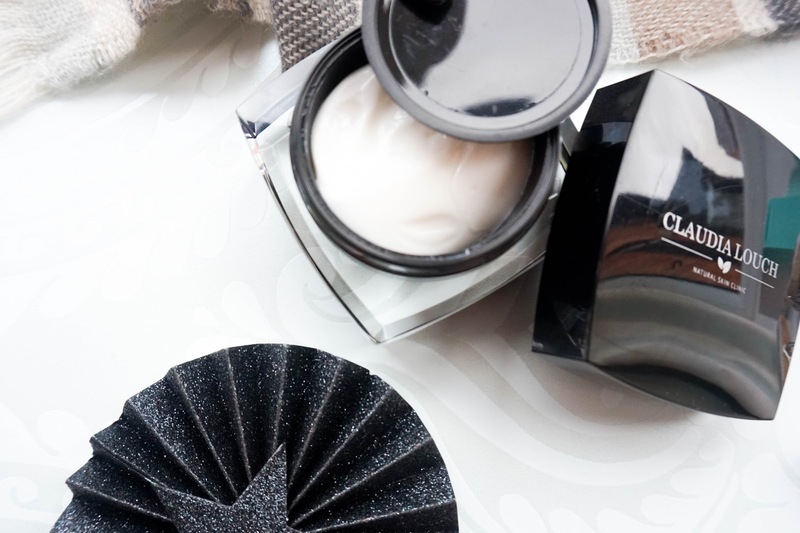 I love that this cream feels rich as you apply it and it moisturises my skin perfectly, yet doesn't feel greasy and is absorbed into the skin immediately. It's still early days as I have only been using it for over a week now, but so far I am impressed. What I love most is the scent, a sweet yet natural vanilla fragrance with a hint of honey, one word divine (in my opinion anyway). Another skincare brand that I have been including in my beauty routines for quite some time now is Claudia Louch. 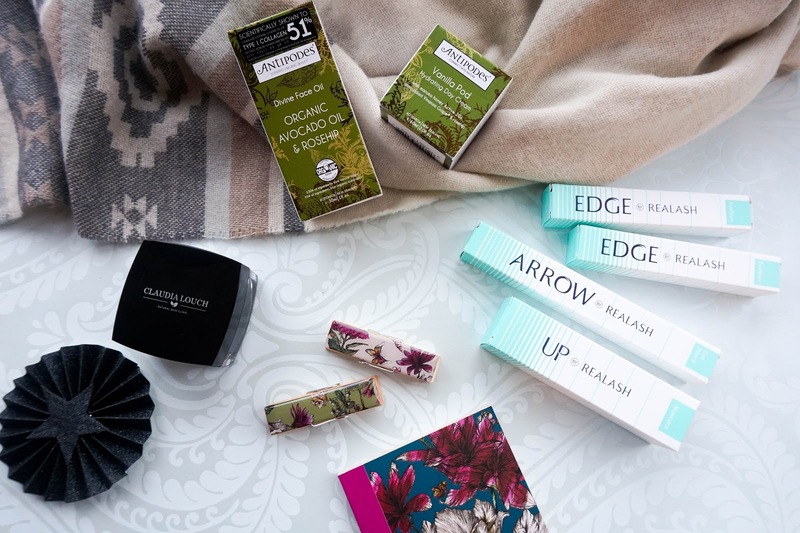 You may remember I was disappointed with the first product I tried from them, but the more products I tried from the brand the better I got on with them overall. The latest addition which I introduced into my routine as soon as I used up every last bit of an old Liz Earle favourite, was the Claudia Louch Collagen & Oatmeal Anti-ageing Moisturiser*. Staying true to the sleek and luxurious packaging of Claudia Louch products, this hydrating moisturiser does not disappoint at first glance. I have been using this for over 2 weeks now as my evening moisturiser and I am in love with how soft & silky my skin feels the next day. As you know with all Claudia Louch products they are natural & free of any nasties, which is something that always impresses me. The main ingredients in this moisturiser are very beneficial for the skin and they definitely agree with my complexion so far. The marine collagen extract promotes skin cell regeneration and the oatmeal has anti-inflammatory properties to soothe irritated skin. This moisturiser has been created specifically for dry and mature skin types, so it feels rich and nourishing as you apply it... yet I'm happy to report that it doesn't leave any greasiness behind, so it could be used as a day moisturiser too (I just prefer to use it in my evening routine since I am already using the Antipodes cream above as my day moisturiser). I haven't been using it long enough to notice if it would make a difference to my skin as an anti-ageing product and to be honest fine lines are not something that I pay close attention to anyway (denying your true age is the way forward didn't you know haha). As long as my skin feels soft, nourished and looks plump/supple than I am happy, so this gets a thumbs up from me. Last brand that I wanted to point out for February is Realash, which are actually the first brand I worked with on my blog almost 2 years ago. If you have been reading my blog for a while you may remember I was extremely impressed with their Realash Eyelash Enhancer that gave me long & luscious lashes after the planned 3 month trial (you can read all about my final results here). I wasn't as blown away by their Brow Enhancer which I also did a 3 month trial on, because it didn't really make too much of a difference to my brows other than the fact that my hairs looked a bit darker/stronger. 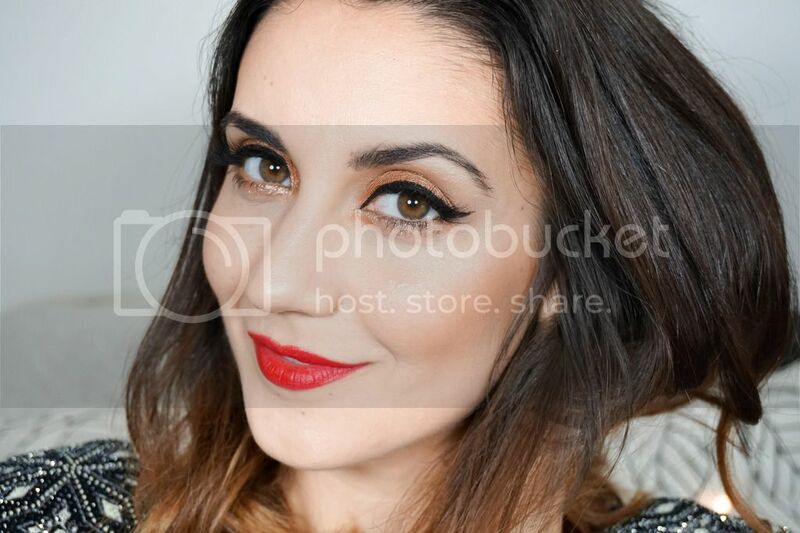 The brand have recently branched out into creating a few eye makeup products and I was pleasantly surprised from the first time I used them. 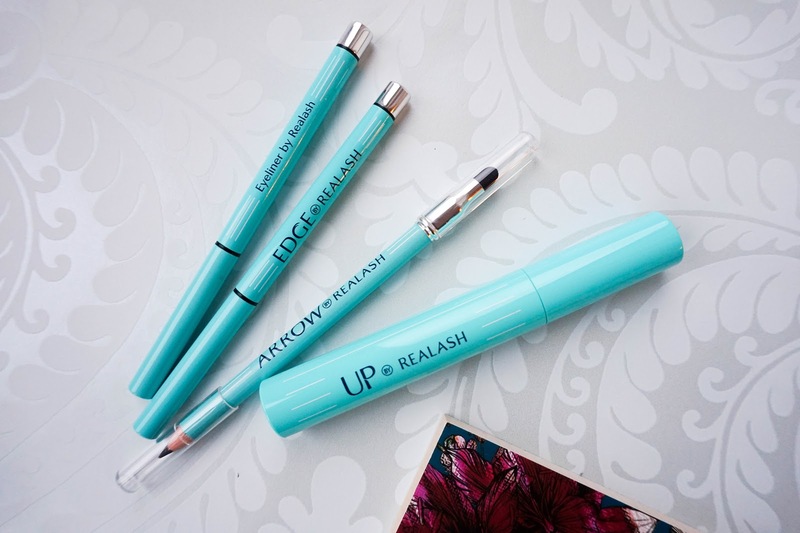 I'll start off with my favourite the Realash UP Mascara* which I loved from the very first use and have been obsessed with since. This mascara claims to add a drastic difference to your makeup looks by lengthening and curling your lashes with a few coats... and I can definitely agree with those claims. My lashes were instantly lifted and they looked so long, without any clumpiness. It takes a good few coats to build up volume, so overall it does deliver a more natural kind of look, but then again it never claims to be a voluminous mascara. I have been using this everyday since receiving it and I can't fault it. I've then got the Realash Edge Eyeliner* in both shades available (Black & Brown). First of all I have to admit that before opening up the packaging I was expecting a liquid/gel kind of liner, so there was a hint of disappointment as I realised it was actually a retractable kohl eyeliner. It's not your regular kind of kohl formula though, as it's been enriched with natural conditioning ingredients such as sabal palm extracts to improve the condition of lashes. Even though I personally prefer liquid eyeliners, I can't deny how creamy this formula is and how effortlessly it applies. Surprisingly enough the Brown shade has turned out to be my favourite and I love using it for a more natural definition in my everyday makeup look. Last up is the Realash Arrow Pencil* which is my least favourite simply because I rarely use eye pencils. This eye pencil claims to be suitable for delicate skin around the eyes and I can see why as once again it's a super creamy formula. The build in sponge at the other end will come in handy if you prefer to smudge out your liner for a more sultry & smouldering eye look.